Harmattan and good seed germination seems to be on opposite side. Harmattan is a season in West African subcontinent which often occurs between the months of Late November and Early March; it is characterized by dry and dusty wind often with cold temperature. This cold temperature has an overbearing effect on seed germination around this period. This effect is similar to effect of early frost in western countries. If you plant to nurse your seeds around this time, in order to get good germination rate, then you must put in some measures. Let’s look at it from the next question. How and what does seed need to germination? For seed to germinate there is a need for combine effect of heat and moisture. The heat is often provided by both the mother Earth and ambient temperature. If these two factors are present, the seed would germinate. What happen during harmattan or early frost season is that, moisture may be supplied but without sufficient heat which is often the characteristic of this season, the seed may not germinate at all or may not attain good germination percentage. The economic effect of failed or poor germination can be very costly; for this reason, there is a need to equip yourself with measures to circumvent the effect of harmattan if you must propagate around this time. The following measures are expected to be taking into consideration if you need to nurse your seeds around this season. (1) Start seeds indoor: In order to provide good germination-enabled ambient temperature, it is required you start seeds nursing indoor. This room temperature which would unlikely drop too low even during the night hour is good for germination. In this instance, it means you may need to use seed trays, nursing cups or similar medium which make nursing indoor a thing of ease. However, you must note that after germination, the seedlings needed to be taking outside to enable them access direct sunlight unless you can provide that artificially. (2) Use black polythene as bed cover: Black substances according to science attract heat thereby making anything underneath it to experience seemingly high temperature. The principle behind this can be used to the advantage of seeds germination. After planting your seeds, you would cover the set of trays, nursing cups or seed beds with black polythene possibly toking the side till germination starts. Do note that you would need to provide moisture which means you would need to remove this polythene periodically to wet the nursery. Please note that the polythene must be removed promptly upon sighting first set of germination otherwise it would result into seedlings distortion and or death i.e. growing thin and tall in search of sun. (3) Nurse seeds even direct seeded crops: You may decide to even nurse direct seeded seeds like cucumber under a controlled environment and later transplant them. Also when nursing seeds inside nursing cups or bags, please use black nursing bags or cups for better heat absorption which would aid germination. Perhaps, do you ever wonder while must nursery trays are black, this is the reason why. (4) Allow direct sunlight on beds before germination: Immediate after sowing the seeds, you may allow direct sunlight to fall on the seed bed in order to increase soil temperature which speed up germination but note that allowing direct sunlight would reduce soil moisture content also required for speedy germination. What you need to do in this instance is to wet the soil more frequently. (5) Use premium seeds with good track record: Good seeds have better germination percentage. Use only seeds with good track record of great germination and also note the expiring date in some case. Please note that if you must use nursery cups, seeds trays etc. 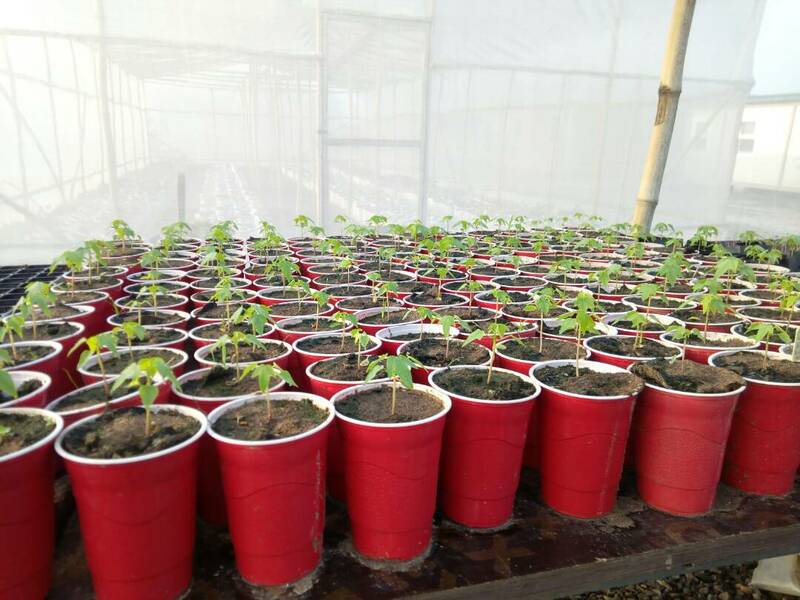 and you subject them to normal environmental temperature around this time, germination would be poorer than even planting directly on the nursery beds. 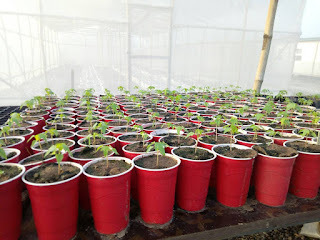 The reason being that the soil on the nursery bed would be warmer at night compare to soil in the nursery trays and cups because the earth itself generates and or radiates heat by night especially from the earth crust. This inadvertently would aid germination thereby making germination on the nursery bed better than seed trays or cups placed outside under ambient temperature. If you must ensure that you have good germination for seed trays and cups around this time, you must place them indoor where the temperature is warmer at night. If you decide to take the risk of nursing your seeds around this period of the year, what it means is that you would have less competition at maturity due to dip in market supply. I hope you can since logic in this. I hope you have learnt one or two techniques that can help you improve on germination around harmattan season. Feel free to ask further question and use our contact us form to also reach out to us.